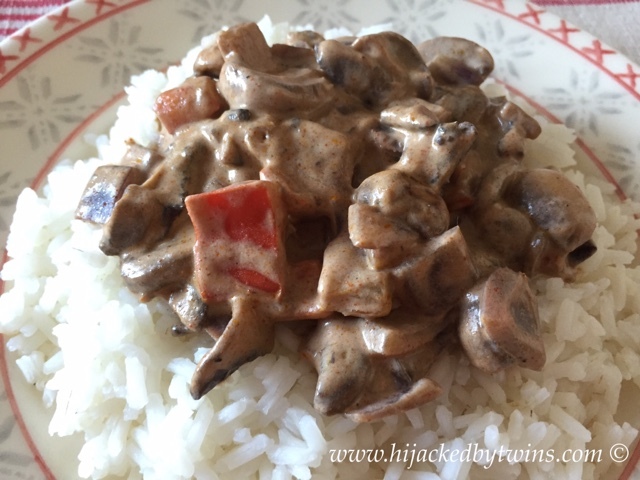 We love mushrooms and one of my favourite mushroom meals has to be stroganoff. I prefer a mushroom stroganoff to a beef one and this meal is a great way to get extra vegetables into the children! Mushrooms are a budgeting way to bulk out meals and add some extra flavours. For this recipe I have used closed cup mushrooms and button mushrooms. 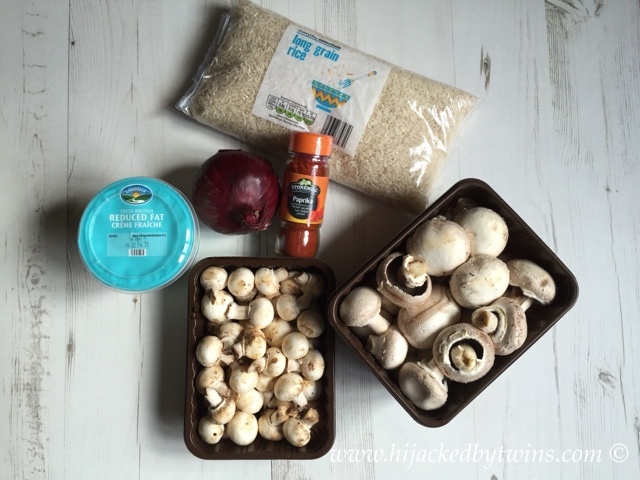 This week mushrooms are even cheaper at Aldi as they are in the Super 6 offer. For a pack of closed cup mushrooms, this week, you will pay just 49p instead of the usual 89p! 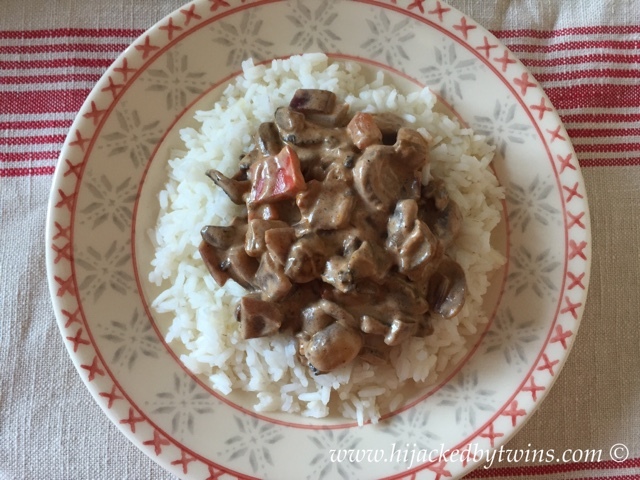 That makes this week the perfect time to have a go at making my easy mushroom stroganoff. When cooking this dish I find that the juices from the mushrooms do a lot of the work with regards to flavours. However by adding a little paprika you add an extra hint of spice to this delicious meal. This makes a delicious, budget mid week meal. It is not only quick and easy to make but so full of flavour. Hi Kirsty, I used to make a mushroom stroganoff, but lost my recipe (sounds daft as it really wasn't to complex, but I could never get it to taste the same without it). I will be giving your recipe ago as I love mushrooms. I would never have thought to add paprika to mushrooms, so I look forward to trying it! Only me again. Popped back to give the recipe thumbs up. Had loads of mushrooms and no meat out. I also had to substitute the creme fraiche with Greek yogurt as I haven't seen creme fraiche here, but it tasted good and was so easy to make.